The Chrysler 300 brings out top of the line featuring luxurious applications. With its power and performance the 300 offers drivers a smooth drive with its suspension features, while also providing a luxury interior and a smooth exterior that comes in four trim models offered such as the Limited, the C and the S models. 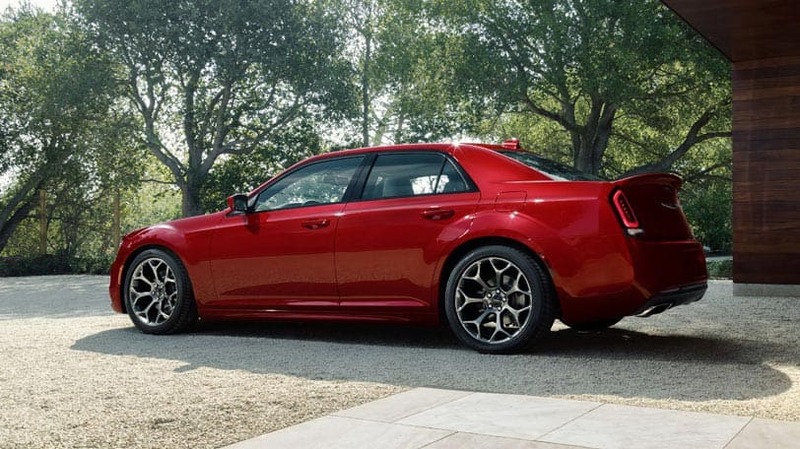 Lets take a further look into why the Chrysler 300 is the perfect sedan to take home. The luxury sedan brings out the best engine systems to give you top-notch power and performance. One of the featured systems is a 5.7-liter Hemi that is a rear-wheel-drive system that comes in 300S, 300C, and 300C Platinum trim models and offers a V8 four cylinder feature which brings out the best fuel saver technology. The 300 also comes is an 8HP70 TorqueFlite automatic eight-speed auto stick transmission giving amazing power giving 363 hp and 394 lb-ft of torque giving a maximum engine speed of 5,800 RPM. The best part of the 300's engine system is its fuel saving technology, offering the fuel efficiency with its 18.5-gallon tank with a combined 23 MPG with 19-city and 31-highway MPG giving up to 570 total miles to the tank. The sedans performance gives the best drive for the driver with its handling, sport mode, and all/rear-wheel-drive features that gives the best smooth drive. The 300 also brings the best suspension system that helps with turns at corners to make it the ultimate drive. The 300 shows its interior and exterior features that makes luxury perfect. This is the perfect time to celebrate Chrysler's 90th Anniversary with the 300 Anniversary Edition to the table offering the best features to the driver. The Anniversary Edition is based off the Limited model's long list of standard features. The Anniversary Edition package offers Uconnect 8.4AN with the segment's largest 8.4-inch touchscreen display, 3-D GPS navigation, AM/FM/HD radio, SiriusXM Radio, Bluetooth, Uconnect Access, plus SiriusXM Traffic and SiriusXM Travel Link. The package also includes the segment's largest dual-pane sunroof and HomeLink universal transceiver. And to make sure this Chrysler 300 is unique, commemorative 90th Anniversary Edition appointments include a startup splash screen logo and premium floor mats with an embroidered logo. Can you help me find a tire for my vehicle? Im looking to look at more reviews of all your offered vehicles, is there a page to find more models? What are your hours of operation on Sundays. Since 1925, Chrysler has put plenty of thought to its safety and security features making their entire vehicles the safest for all of their drivers and passengers. With the Chrysler 300, the sedan offers up to a staggering 80 safety and security features such as the its standard airbags, with driving detection features, parking sensors and cameras, brake management systems, and electronic stability control that makes it the sedan you'll want to take out on the road. 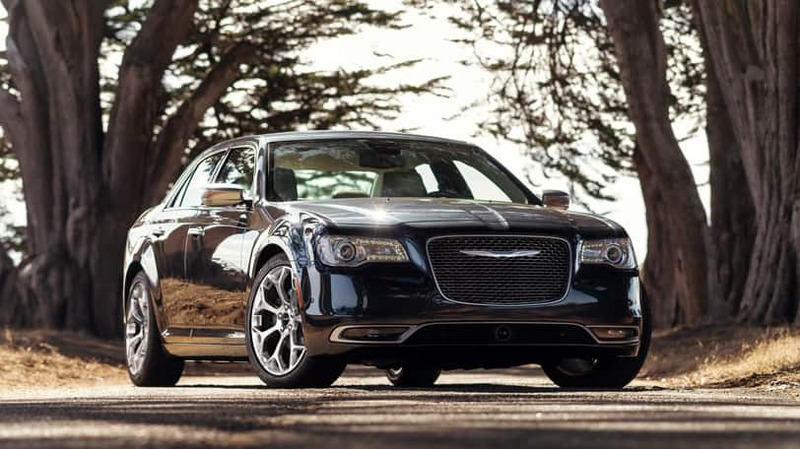 The 2016 Chrysler 300 is the perfect luxury sedan to own in 2016 with its entire top of the line features. Head on down to the East Hills dealership to test-drive a 300 today.